Clone Captain/Commander as a new unique Prequel Era reinforcement? NOTE: I'm really bad at making concept arts so I'm just going to explain this somehow, mostly focusing why it would work. I wouldn't included it as reinforcement, but not as hero either. The class would be only available on Prequel Era maps and larger modes like GA and the upcoming Conquest styled mode. It's health would be a bit average than the current reinforcements or their abilities much uniquer when compared to the others. Only 2-3 would be available. Although I might separate it to 2 different classes as the rank captain is lower than commander in TCW. 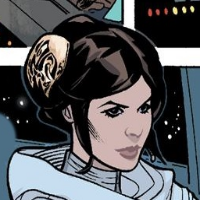 The reason I wouldn't include it as reinforcements is because in canon there were over sixteen of both clone captains and commanders and each one have became their own individual. Example we all don't see them as the same which would make the class deviate from reinforcements as they are just random troopers we don't know personally. (Example we don't know a death trooper under the mask.) Like Rex and Cody we wouldn't rather want to see them as heroes which in my opinion doesn't fit for Battlefront 2 as they aren't quite hero material either. On the other hand there are few unidentified clone captains and commanders which would make the class possible. Again, I'm really bad at this and tried my best to explain how the class would work and why I think it won't exists maybe. Thank you for your time.